Motorola announced the launch of new mid-range Android Smartphone, Moto G. The Moto G has 4.5-inch 1280 x 720 HD screens with 329 ppi, 1.2 GHz Qualcomm Snapdragon 400 Quad-core processor, 1GB RAM, 5 MP Rear camera and 1.3 MP front camera. Motorola Moto G comes with 8 GB and 16 GB of Internal Storage, 50 GB free Google Drive storage for 2 years, 1 GB of RAM buy No Micro SD card support. The device is equipped with 2070 mAh battery. The Moto G runs on Android 4.3 Jelly Bean and will be upgraded to Android 4.4 KitKat by January 2014. Moto G have Migrate features Transfers which wirelessly transfer your photos, videos, SIM contacts, call, text history, music from your old Android phone to new Moto G.
Moto G comes with 19 customization options including interchangeable Motorola Shells and Flip Shells in seven colors as well as Grip Shells in five colors. 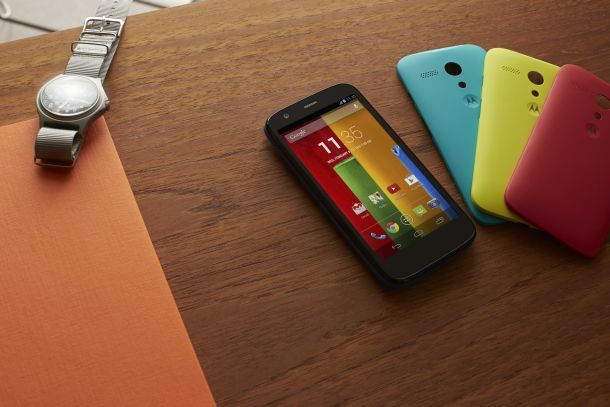 Moto G will be available in India by early January 2014 and may launch with Dual SIM variant. The Price of Moto G will be around Rs. 15000 (Not confirmed). Guy Kawasaki confirmed that Moto G Dual SIM will be available in India. 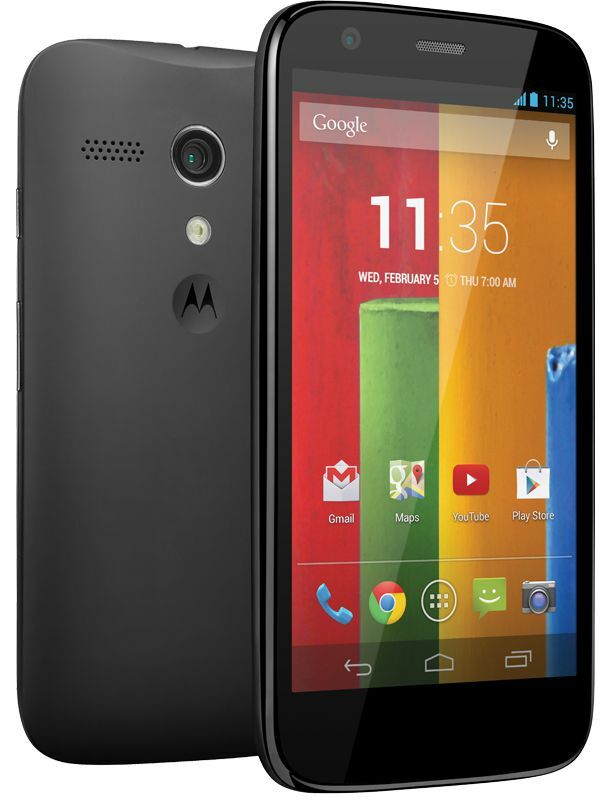 The Motorola Moto G will be available in India by early January 2014. No details on Indian Pricing.